This simple-to-use, highly-affordable, two-way radio is the perfect communication tool for organisations of almost any type. 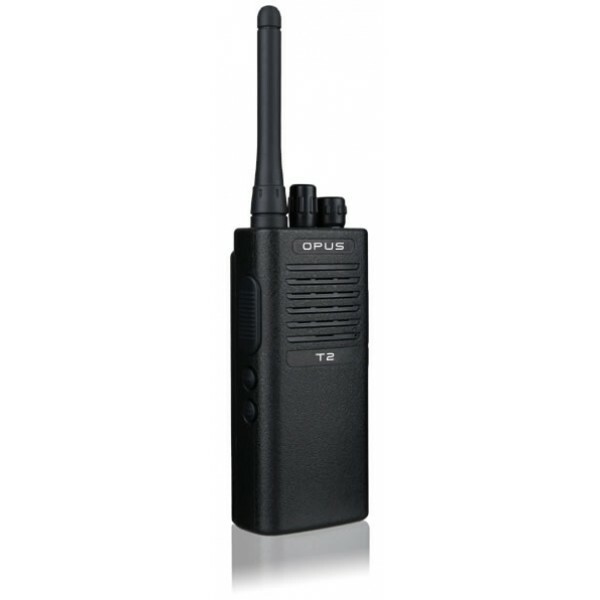 Coupling the convenience of a compact, rugged and functional design with the features and high performance of a quality licensed business radio, the Opus T2 has been designed to meet the needs of a very wide group of users and deliver a superior price:performance ratio. 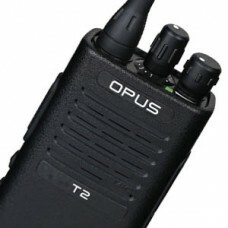 Why choose the Opus T2? The Opus T2 should be the first choice for any radio user or organisation seeking a reliable, high quality, simple to use, business grade radio for licensed or licence-free situations. It’s the perfect and affordable upgrade for anyone using ‘consumer’ grade PMR446 licence-free radios, or to increase the size of your licensed business radio fleet. 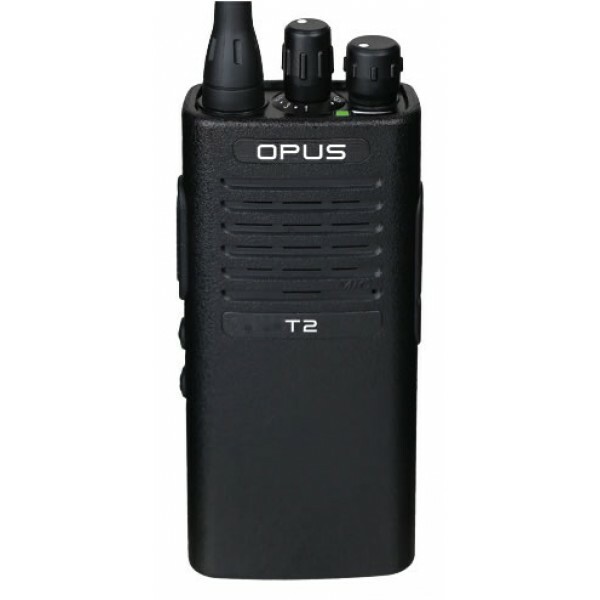 The Opus T2 is simplicity itself to operate thanks to it’s ergonomic design, loud and clear audio and impressive communication range. The robust, high quality sealed casing keeps it operating in a wide range of tough workplace environments. When your users, workplace or application have specialist requirements, the Opus T2 is supported by a wide range of quality accessories. When licence-free radios can’t deliver the range you need, or if channels are becoming congested with other users, choose the Opus T2-PRO. This higher power model gives greater communication range and allows a wider range of programming options, making it ideal for use in professional radio applications. As standard the Opus T2-PRO is preset for use with an Ofcom ‘Simple UK licence’ - a great value, off-the-shelf radio licence! As your radio system expands, your Opus T2-PRO radios can grow with you. When required, radios can be re-configured to use additional features and operate on private business radio channels.